Bobby knows the risk. We all do but we're all still here. 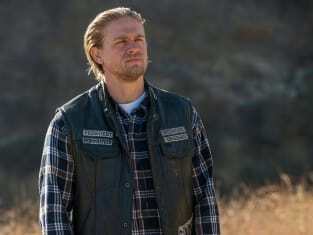 Sons of Anarchy Season 7 Episode 8: "The Separation of Crows"
Sons of Anarchy have a duty, brother. A mission and we need our god damned leader. Permalink: Sons of Anarchy have a duty, brother. A mission and we need our god damned leader. Permalink: Bobby knows the risk. We all do but we're all still here.